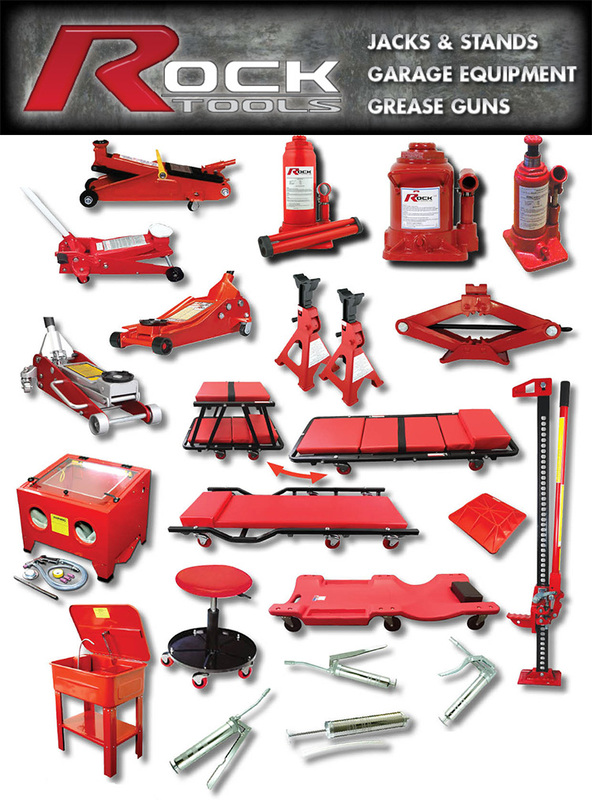 Rock tool range covers various Workshop tools, including Engine Cranes and offers a range of Grease Guns. Rock Tools also carries an even more specialised range of garage equipment. Whether you are in need of a 12 or 20 ton Hydraulic Press or a Garage Creeper to easily move around and under vehicles, we have you covered. Cleaning parts is also a breeze when you have either a 75Ltr Parts Washer or a handy Sand Blast Cabinet at your disposal. For more product information, please refer to the latest catalogue. Lubrication maintenance of either oiled or greased parts is so simple with the Rock Tools range. You have the choice of 4 different Grease Guns and Accessories to make your job easier, and oil removal from gearboxes, diffs and a multitude of other applications, is so simple using our Oil Suction Gun. Specific details are listed in the latest catalogue. 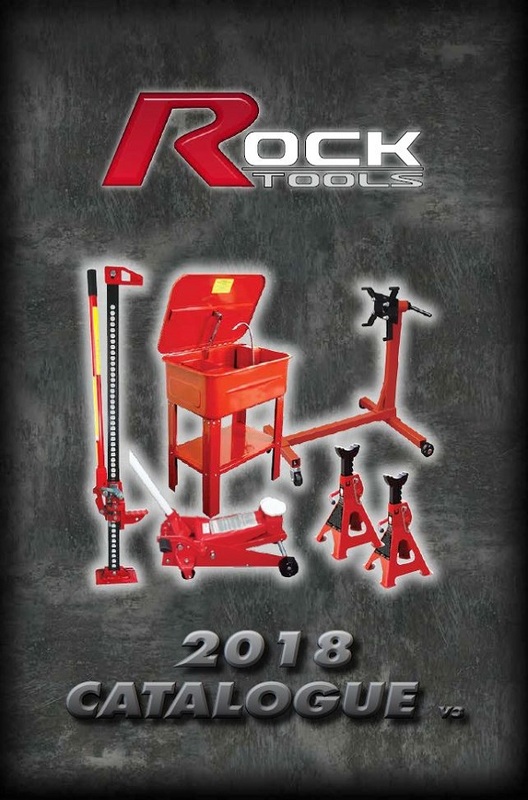 Rock tools have a range of 12 different jacks. 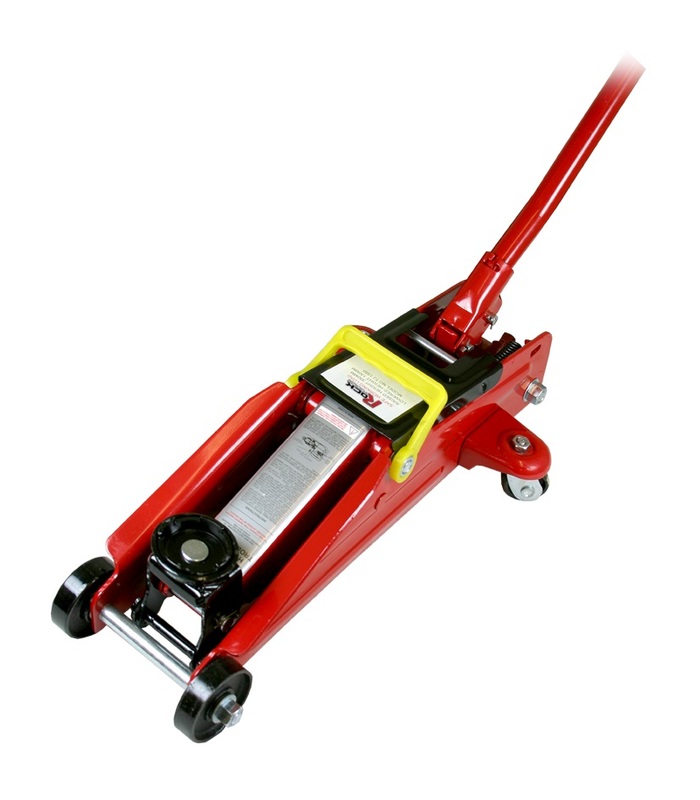 From the basic small Bottle Jack which could be used for an emergency tyre change to a mechanical workshop Trolley Jack. All feature hydraulic technology to make the job much easier and quicker. Rock also has a mechanical High Lift Jack which is perfectly suited to farm equipment and off road vehicles where that extra height is required. For more information on weight ratings, raised and lowered heights please refer to our latest catalogue. Making your job in the garage safe and easy is a high priority for Rock Tools. 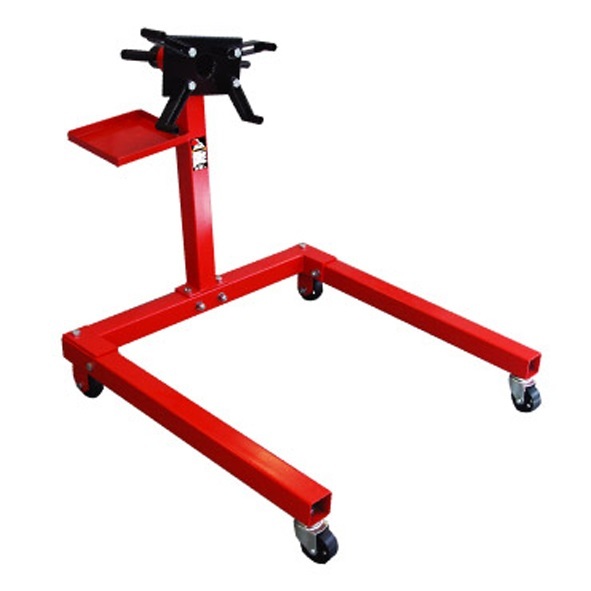 We carry 3 different weight rated Jack Stands which are also height adjustable making them perfect for many applications. Engine removal is a breeze with the choice of a manoeuvrable engine crane or one of the two weight rated Chain Blocks. And once your engine is removed, feel safe with storing it on either a 450kg or 560kg Engine Stand. Both have 4 wheel construction for more stability and are easy to move around. For more specifications on any products in this range please refer to our latest catalogue.